CHS Jazz I Gets 4th at State! Jazz I recently competed at the 2019 Iowa Jazz Championships on April 2nd. The event is held annually on the campus of Iowa State University, and showcases the top 15 bands in each classification in the state of Iowa. The band was awarded 4th place out of 15 Class 3A Bands. 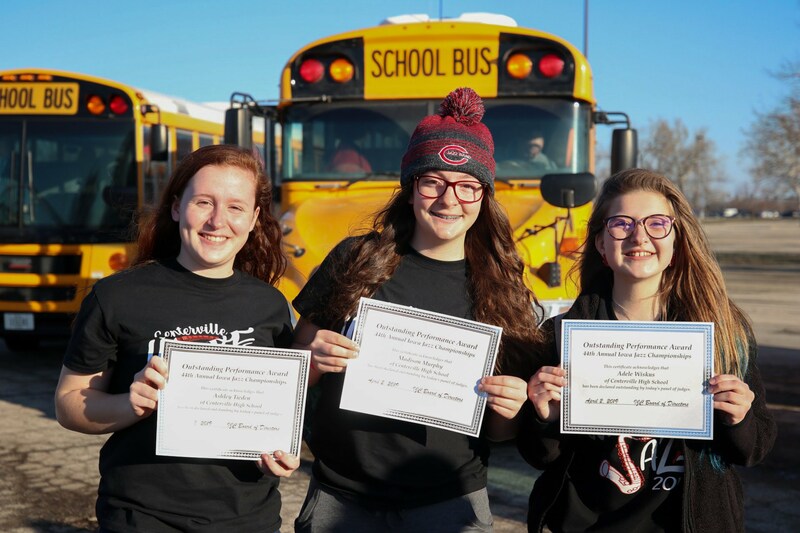 Three Outstanding Soloist Awards were given, including Ashley Tieden on Bass, Madison Murphy on Tenor Saxophone, and Adele Wiskus on Trumpet. 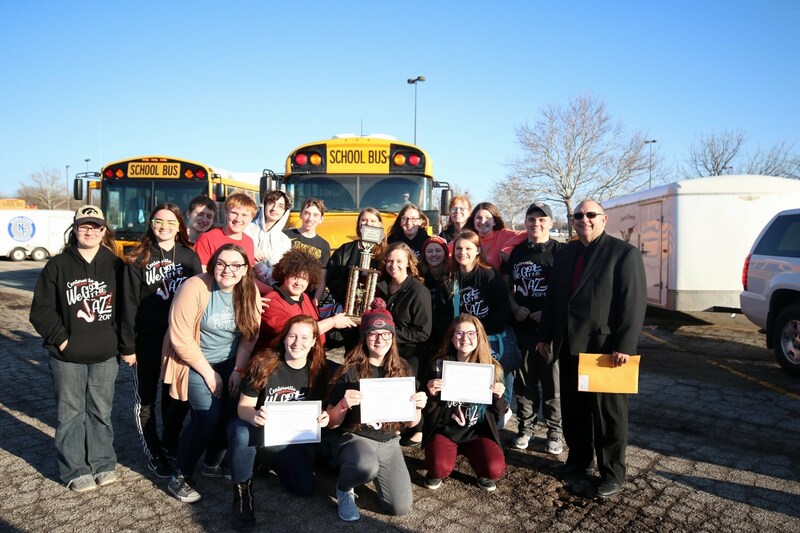 Congratulations to the band, and their director, Jim DePrizio! The Band would also like to thank AJ Anderson and the Pitch for covering the event, as well as their support in Centerville activities!